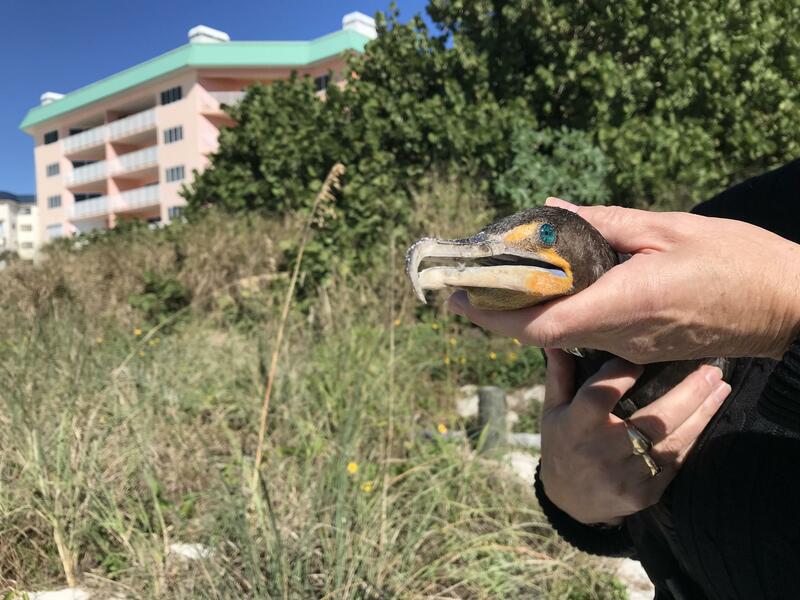 The Seaside Seabird Sanctuary has recently seen an increase in cormorants coming into their hospital with red tide poinsoning, although red tide algae blooms are not as concentrated off the coast of Pinellas County anymore. Some of the seabirds being released would be so excited to fly away, they would clumsily stumble in their first few steps. A rehabilitated pelican poses for a photo before flying into the Gulf. Specialists said some of the seabirds had been rehabilitated for a while, but they were waiting for red tide to disspiate before freeing them back into Gulf waters. A duck being released back into the Gulf of Mexico at an Indian Shores beach. 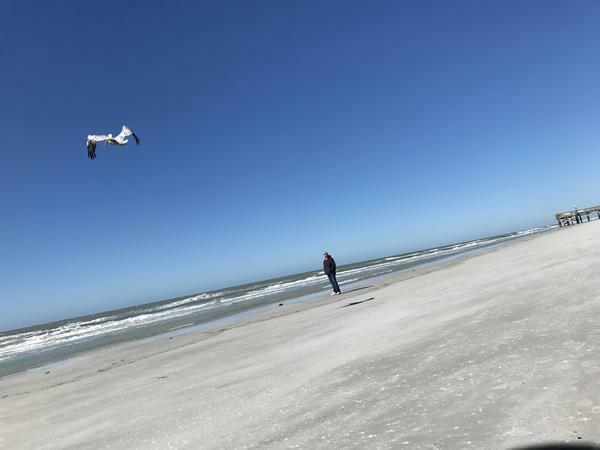 Red tide poisoning can make seabirds look almost drunk, according to specialists. 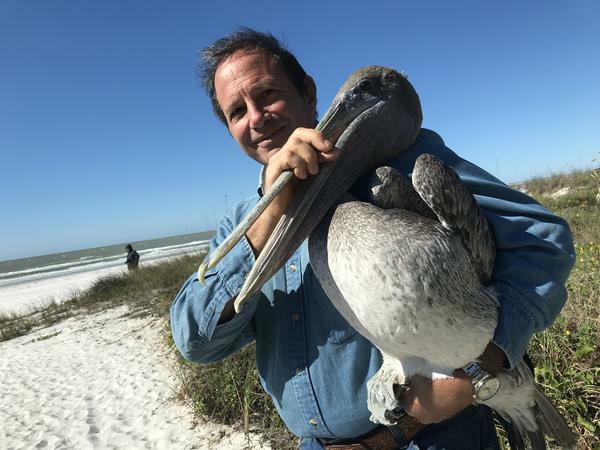 Seabird specialists say that toxic red tide blooms in the Gulf of Mexico affect every species differently. Some shore birds are affected later than others. Just recently a flood of cormorants and pelicans have been brought in to the Seaside Seabird Sanctuary, although red tide has been dissipating off Pinellas County. Melissa Dollard is director of the hospital at the sanctuary. She says poisoned birds started being admitted around August. "So we went from those smaller shore birds to gulls, terns, 'cause they eat everything so they're usually one of the first birds that we see. And then now we're into cormorants and pelicans," said Dollard. She doesn't know what this pattern means, but she said she has noticed it. Dollard said seabirds usually get red tide in their systems by eating toxic fish. It affects their central nervous system, so she said they look almost drunk. "They'll be stumbling falling into roads, sometimes walking into stores, you know, definitely swimming in hotel pools, and things like that because they're just kind of really confused they don't know where they are," said Dollard. She said the severity of a seabird's condition depends on how much and how long it's been exposed to red tide. 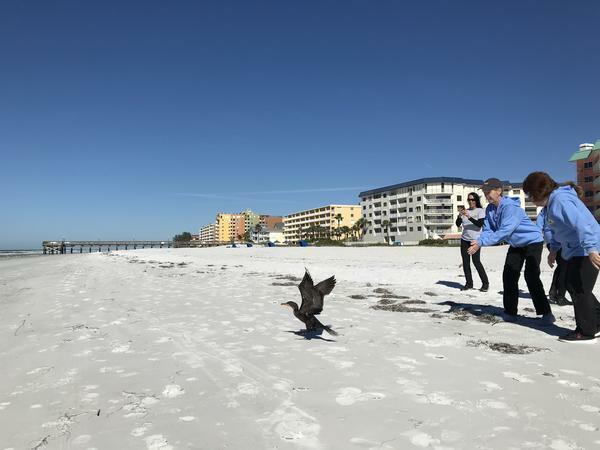 The Seaside Seabird Sanctuary recently released about 20 birds back into the gulf-- many of them were rehabilitated after being poisoned by red tide. 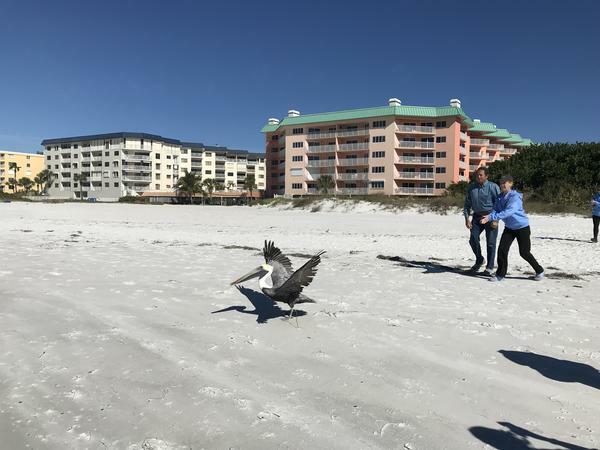 Mildred Ceron, of St. Petersburg, was out on the beach at Indian Shores to watch healed pelicans, cormorants, and gulls set free on a weekday morning. 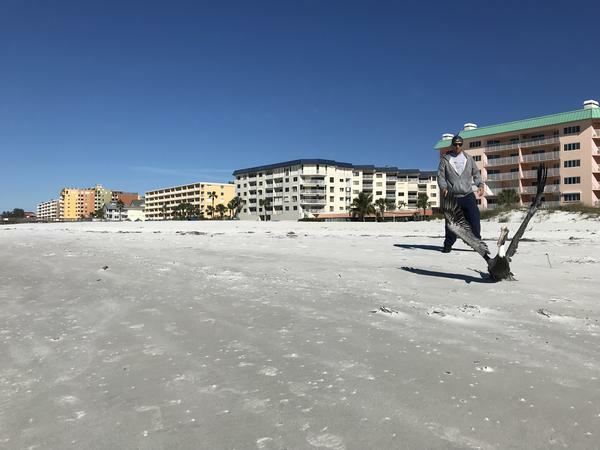 She said she experienced the red tide at one point-- the smell and irritation. "It sort of broke our hearts to see so many fish and birds and other mammals in the water perished because of it," said Ceron. But she said she feels better after seeing the healthy seabirds take off from the shore and fly out to the water. "Oh, it's great. It feels like vindication," said Ceron.